One of the definitions of discipline is training that corrects or perfects the mental faculties and moral character. Jesus calls those who follow Him into a disciplined way of thinking and living. The disciplines attached to this life are a means to develop excellent, godly character that properly represents the kingdom of God. Hence enters the third volume in a series of seven volumes that deals with the various fundamentals of the Christian life. 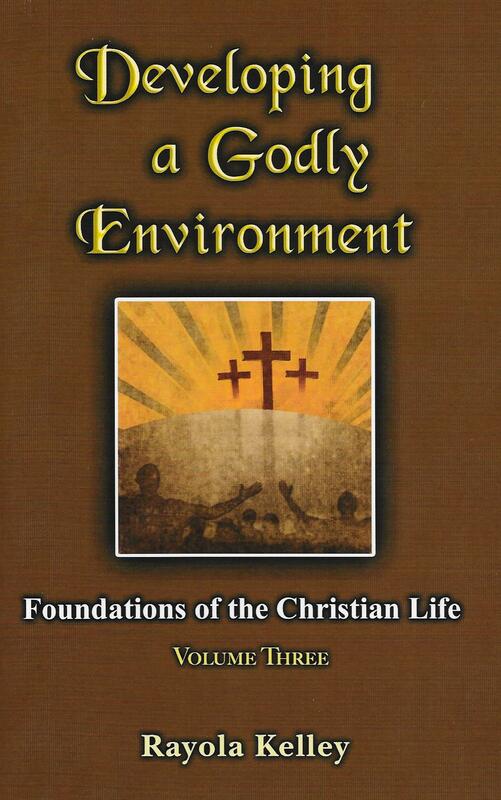 Developing A Godly Environment will address the disciplines that are necessary to establish and maintain the right attitude and conduct to ensure a viable witness and testimony of the Christian life. 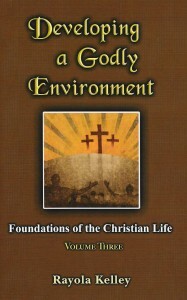 The first book in this volume, Godly Discipline, not only explains different forms of disciplines, but how they must be applied and worked out in our lives. The four other books within this volume address the different ways in which such disciplines are developed. There is inner disciplines, which is nurtured by Prayer and Worship. Then comes temperance of the senses, especially that of hearing and discerning the voice of God, which has been addressed in Don’t Touch That Dial. A vital part of discipline has to do with attitude. Learning to be thankful will greatly improve wrong attitudes. The Face of Thankfulness looks at what it means to be thankful. The final aspect of the Christian life involves the walk. The ABC’s For The Christian Life takes one through the basics of what it means to finish the spiritual journey.